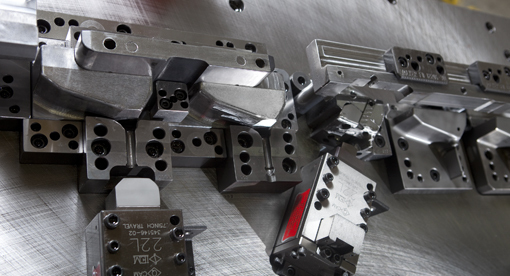 Rapid, high-accuracy measurement is a key component of the tooling manufacturing process. Walker’s technical leadership and commitment to exceptional customer service has led to significant investments in state-of-the-art computerized inspection and measurement technology. Our full-service Quality Control lab includes UG NX CAD workstations, three coordinate-measuring machines, a blue light optical scanner and portable measuring arm for accessing larger immobile items. This equipment enables us to inspect all aspects of the tooling systems and to verify that complex parts are geometrically precise and within specification. Our software systems employ diverse reporting capabilities, so we can provide detailed reporting on the inspection of the parts through the manufacturing process.